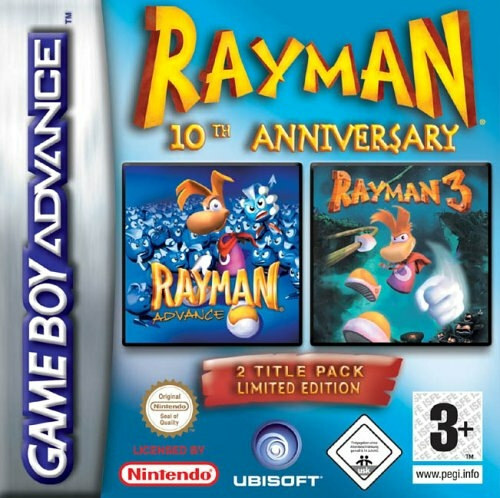 It’s time to take a quick look at the Rayman collection I recently beat for the GBA. 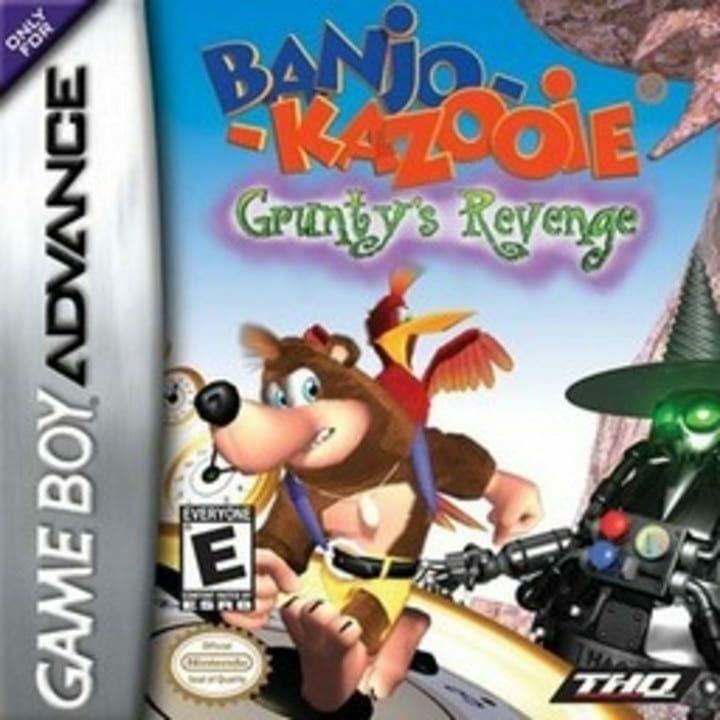 This one made the interesting decision of merging the first and third games in the series. I don’t really understand why they would skip the 2nd game. Maybe it just wasn’t formatted in a way that would be easy to port to the GBA the way that the others were. Either way, it’s no big loss since I’m guessing it should be rather similar to the others. This is my first real venture into the Rayman series so that was neat. I’d say that it holds up pretty well though the third game definitely more so than the first. If you are a sidescroller fan then you need to check Rayman out. The first game is pretty intense with how difficult it is. You get 10 continues and you have to be sure to not lse a life too easily. If you died too much on a level consider restarting your system right away so you can win without that hapening. I just barely made it as I finished the game with no continues left. Of course, if I was going for the secret ending by finding all cages then that would have been another matter entirely. The controls are good, but I can’t say as much for the level designs. There are a lot of blind jumps and cheesy sections where the game just stacks the deck against you. That’s fine, but then we should get unlimited continues like in most games. I never like when the game has a limit and then you just have to start over. That doesn’t seem very fair and will just become tedious after a while. The plot of the game is a little weak though and that’s one thing that seems true for both titles so far. It’s just that Rayman himself isn’t nearly as interesting as most of the other colorful protagonists in these kind of games. I’m assuming he will get more personality soon but right now the cast doesn’t really jump off the page so to speak. They’re all just going through the motions so to speak. Since you don’t even get to see the ending without getting the 100+ cages then it’s not even much of a satisfying end. This game is fortunately supported by the next one. Rayman 3 is a noticeable improvement in just about every way. For starters the gameplay is a lot faster and smoother. You really feel like you are in control this time around. None of the enemies scare you and if they ever start to get a little rowdy you can quickly take them out. Your lives are quite abundant and there is no limit on retries so no worries there. There is also more of an actual story this time as we get text boxes and the villains have more of a goal. The story still isn’t at the point where it could actually be considered as a selling point, but it’s getting closer which is the important thing. Just a few more steps and it will be ready for the big leagues. Regardless, this is a title that I could recommend a lot sooner than the other one. It’s just a solid side scroller and one that holds up well as it isn’t clunky. The graphics for both games look pretty good. Naturally the 3rd game is a little brighter and more detailed, but it’s not a huge difference. Both games are quite clear and you can tell that effort was put behind them. Likewise the soundtracks for both games are pretty similar. There are some memorable tunes in there, but nothing super intense. Either way you’ll probably be too absorbed into the levels to notice much. The levels require a lot of concentration or you will be doomed to lose quite a lot. As far as replay value goes I’d say there is quite a bit here. In the third game I was able to get most of the collectibles naturally so the bulk of your play time will be in the first game. The third one is also shorter in general, but every bit helps. It should last you a few hours. Then the first game will definitely last a few hours and obtaining everything will extend the time even more. Just keep a look out for those lives and continues since they are very previous. Once lost they will not be returned. That’s why the stakes are so high in the first Rayman. Overall, The Rayman 10th Anniversary game is pretty solid. Since it brings 2 games for the price of one it is already a pretty good bargain. If you haven’t played the series before then it’s the perfect way to start I’d say. It may be tough goings for a little while but you’ll certainly get a lot of experience in how to handle a platformer by the end of this. It’s why I would be a little hesitant to recommend this to a kid but given enough time I’m sure anyone would be able to clear these levels. It’s just all about repetition and trying to learn some strategies. Now I can finally go and play some of the newer Rayman games. I’ll definitely snag them at some point and we’ll see if they can possibly match these two or if they are doomed from the start. No guarantees on just how soon “at some point” means though. I have wanted this Kirby game for a very long time. It always looked like a lot of fun since the cover was so exciting and that’s how I judged games back in the day. Alas, the title was 25 dollars and that’s not exactly chump change when you’re a kid. Still, I saved up and over 20 years later I was finally able to snag it. Unfortunately this game does not live up to the hype. Nintendo messed around with the gimmicks a little too much once again and as a result this game is rather messy. There’s a great final boss as always, but the game is just lacking that wholesome feel to it. 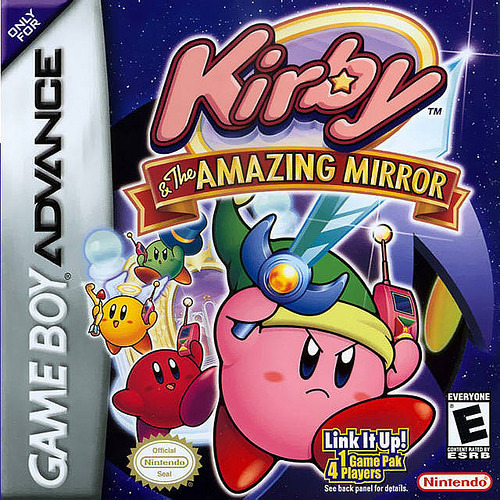 The plot of the game is that Kirby has been thrown into the Mirror World and split into 4. He must now team up with himself to save the planet and stop the darkness from consuming it. I do like the plot as teaming up with yourself is always the smartest possible move. You just can’t go wrong there. Of course, you have to take the plot at face value as there will be no more cutscenes at all until the climax of the game. Clearly you are supposed to be playing this game for the gameplay and not the riveting story. Certainly not a bad thing, but worth pointing out. The gameplay is your typical Kirby experience as you run and jump while going through the levels. You can absorb all of the enemies and most of them will give you super powers. You can only use one ability at a time though so don’t try and overdo it with absorbing everybody or you’ll end up with a weaker move than the one you already had. If you are playing on single player mode then you can use the R button to call in the other 3 at the expense of 1 Wifi Bar. They are extremely OP in this game so if you want to beat a boss really quickly just call them in. Typically they will restore you to full health and also beat the boss in under a minute. Even the final boss is no match for the Kirby crew. Meanwhile you can use the L button to leave a level. Why would you possibly want to leave a level? Well, that’s where things get a little interesting. This game doesn’t have typical start to finish levels like most Nintendo games. Instead it went the Metroid route (Why would you do that?) and the level just segways into a bunch of others, but they are also connected. Unlike Metroid you do get a bunch of different teleport areas which will take you from place to place so that’s a start. At first the game will be a rather tough experience as there are dozens of entryways to explore. Once you find a portal and activate it you can use it from the hub world. Naturally this does mean that the game will get a lot easier as you go through it. The first 2-3 world keys took me forever to get, but the last 3 were done in a snap because there just weren’t many paths left. It’s not really my cup of tea though. The intro would have certainly been a lot easier if I had realized the perks of each special ability though. Fire Comet lets you break metal blocks in front of you while stomp handled the ones beneath. Most abilities have some kind of purpose to them so just remember where you can find the enemy with the ability that you need. If not, each teleport chamber has 2 abilities so the more that you find, the easier access you have to them. I spent a ton of time just running around without a clear direction because I couldn’t find out how to get past the blocks. If you know which abilities to use from the start that should help considerably. The graphics are pretty solid and do the Kirby characters justice. The sprites have aged really well and the colors are very easy to look at. You won’t have to squint at the screen and wonder what is happening at any point in the adventure. Likewise the soundtrack is also pretty solid as we get some nice boss themes and level music. It’s really no surprise as Nintendo excels in these two categories, but always nice to see nonetheless. Of course, since the game was so light on cutscenes that probably did free up the budget for everything else. As far as the length is concerned, I was certainly satisfied. Thanks to the maze like structure of the game I doubt you will be speed blitzing through this title. A lot of the levels involve trial and error as you choose one way the first time and a different one on the second try. Once you get the maps for each world that eliminates such an approach but the irony is that you probably won’t find them until you are nearly at the end anyway. I ended up beating the game while still missing 4-5 of the maps so ultimately they weren’t a huge factor. As far as replay value goes, collecting the rest of the collectibles is naturally the main incentive. That should take a reasonably long amount of time. Overall, Kirby & The Amazing Mirror is probably the weakest Kirby game. It’s very close between this one and the Rainbow title, but the latter did have a better story. Still, the game holds up decently. It’s just one of those titles that has a really dicey start so you just have to endure it until you’re in the second half. It’s the same situation as Digimon World Next Order for example as your Digimon have to constantly use the bathroom and everything at first, but by the end it’s better. Still, you can certainly find better platformers so buy this Kirby game only if you’ve already played all of the others. Well, unfortunately this is the kind of game that has no stats. Out of the 8 levels, I did complete 5 of them though and died in the 6th so that’s sort of a stat. If only this game has a Continue feature. Even if it took some arcade points away I would have liked to have gotten to the ending firsthand. Ah well, I guess this game was as tough as it looks. It’s time to look at an old GBA game that decided it would be a good idea to get rid of the continue option. It tries to go for a very authentic arcade feel as you have to try and go through the whole game with one shot of lives. Granted, it does autosave your progress so if you die on level 6 with and used up 2 lives in the attempt, that’s how you’ll spawn. Ideally you will get so good at the game that eventually you would clear the game and reach the ending. That would be impressive because I can assure you that this game is no walk in the park. It will take quick reaction times and a whole lot of heart. The plot is rather vague and you only get about 3 cutscenes in the whole game. It seems that alien machines are trying to destroy the worlds and you have to stop them. Fortunately that won’t be too much of an issue for our hot shot pilot Rick. He is willing to risk his life to save his planet and that’s what it takes to be a real hero. You have to appreciate the guy’s passion through and through. Still, it’s as cookie cutter a plot as you can get so you will be playing this game for the gameplay. It’s a traditional 2D shooter. You are always in the air and the screen is constantly moving so you can’t take your time. On the other hand, this also means you can’t go too fast as you wait for the screen to catch up. The only time it will typically stop is for a boss fight. Then you maneuver as you please to dodge the attacks. There is usually a good amount of room so you don’t have to worry about bumping into things. The average level is around 5-7 minutes long and there are 8 levels total. The game will last you about an hour if you’re a whiz at the gameplay and a little longer if you die a lot. It’s not a long time, but you don’t expect much more length out of this genre. You have your primary weapon which is a typical energy gun, but you will pick up a bunch of other weapons along the way. Rockets, Energy Balls, etc. When you get hit by an enemy you lose one of your 4 health points along with your current weapons. You can stock up to 3 weapons I believe so choose them carefully. You will likely think that some weapons are better than others so if you see an enemy drop a bad one sometimes it is best to just leave it. You also get bombs which wipe the screen of weak enemies and weaken the tough ones. Your 3 bombs are refilled whenever you get a health item so quickly spam them before making contact with it. I also recommend stocking up on lives during the earlier part of the game since you will need them for the end. Another thing to watch out for is the ceiling. The game’s lighting can be quite deceptive so it’s possible to be ramming into a cliff and not know it. You’ll quickly be tipped off as you take damage and die though. I think the visual effect is intentional because the cliffs shouldn’t camouflage so well. That’s just mean to the player if you ask me. The gameplay is quite sound all things considered though. I enjoyed playing through the game. It’s the kind of title that I wouldn’t stick around to try and complete without being able to use a continue, but still a good arcade title nonetheless. I probably would give it a try at one of the ole machines. There isn’t much replay value as you can probably expect. After all, Story Mode is the only thing to do and it’s simply an hour. Fortunately I got this game for about a dollar so that’s a good bargain. I did think that the soundtrack was far better than I had ever expected it to be. The fast paced rock theme really gets you into the levels. The visuals are on point as well and on a technical level the game even looks worthy of the DS. I’d say that they spared no expense here. While there are no bonus features, you can’t say that the developers didn’t treat this game with a whole lot of care and grace. 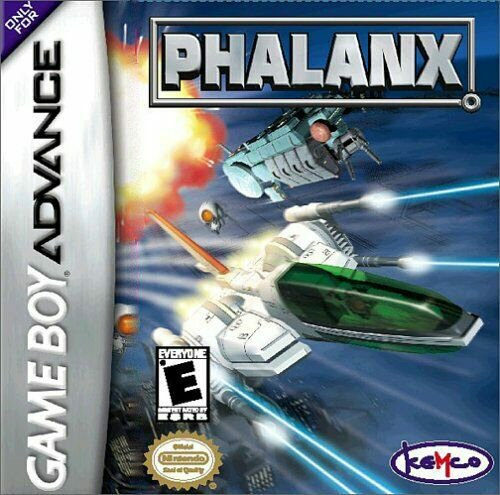 Overall, Phalanx is a fun shooter. It is not the best in the market nor will it ever be, but it doesn’t make any real mistakes. It is a fun experience for however long it lasts you and I’d recommend picking it up if the price is right. It’s not a game I will forget very soon even if it was one of the shortest games I’ve played in ages. If it ever gets a big sequel/remake I would be interested in seeing how they enhance the plot. Adding in a continue feature would also help the game considerably. The Powerpuff Girls is one of those franchises that was a little before my time but it certainly looked like a lot of fun. The style of the show also gives the series a lot of potential for games. I’m pretty interested in trying out the GameCube title but I figured I’d settle for the GBA one this time around since the big game slot was already filled for Christmas. The title basically spoils the final twist of the game but I suppose by then you’ve already played through the game so it barely matters right? It’s a decently fun game but one that is extremely short and just couldn’t live up to its full potential. The game starts with the girls hanging out at school. Their teacher tells the class that they will have a Scavenger Hunt and whoever collects the most items gets a gold trophy. The heroes are hyped about this and begin collecting while thwarting the many thugs who hang around the school. Can the team save the world and their school reputation or have they finally bitten off more than can chew? One thing’s for sure, you’ll find out very quickly. The game is only about an hour long. You can certainly complete the game in less time than that if you hurry. It took me around an hour, maybe a few minutes longer so I fit into the curve. That’s definitely a very short game by any stretch of the imagination. This is a big part as to why I can’t give the game a full 7 Stars. It’s over in the blink of an eye so no matter how fun it may be, it’s still an issue. I gave Sonic Forces a lot of heat and that game was at least 3 times longer. Sure, this is a gba game but even then you definitely expect a little more to be honest. So the gameplay is akin to your typical side scroller. Think Teen Titans as opposed to Mario though. You fly around and beat all of the thugs up. You can fly up and down as well as left and right. Just bumping into an object that is in the list will allow you to obtain it. Every area has at least two story objects to find and they typically have collectibles for others as well. Talking to the people around town will get you the rest. The collection aspect is fun enough and as a kid I probably would have tried to 100% this game since is seems like it would take a reasonable amount of time to do. Seeing the characters get the Gold Trophy is sure to be satisfying. Some of the bosses can provide a reasonable challenge if you just have one Powerpuff Girl left but this is nullified by the fact that you instantly respawn with all 3 members back to start the fight, it makes any battle trivial in the end since you effectively have 3 health bars at this point. I would definitely give the gameplay a pass. It’s pretty easy to pick up and play while still remaining enjoyable. It feels retro and nostalgic in a good way. That’s why it’s a shame that the game is so short. There’s a lot of potential here and you could draw some similarities to the Legacy of Goku series. Of course, that series also has a great level up system and solid transformations so it’s not as if this game was ever going to pass that one. Still, it’s worth thinking about. The graphics are okay. The Powerpuff Girl designs are on point and they did a good job of recreating the city. It actually holds up pretty well in this regard. Unfortunately the music is less inspired. There aren’t really any memorable tunes. The only music that will really get you going is the game’s opening with is basically the opening from the show, but abridged. I would have liked more cutscenes but at least we did get illustrations for the big bosses so I guess we take those. Overall, Him & Seek is a fairly decent game. There aren’t a whole lot of scavenger hunt games so it was pretty unique. 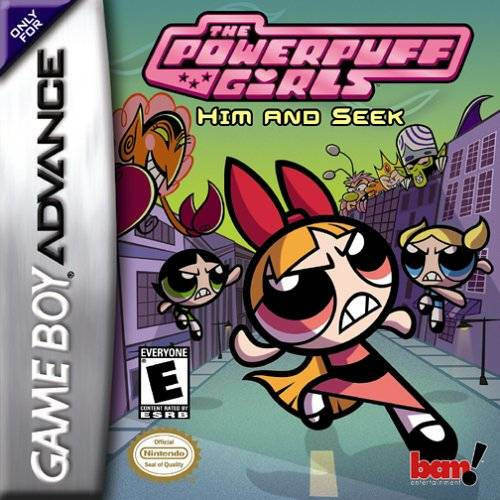 Nostalgic Powerpuff Girl fans will definitely get a kick out of this game as well. It’s a solid title that I would recommend but you definitely need to be aware of how short the game is before you agree to purchase it. It’s a single hour long so unless you find a great price it’s not worth spending a lot of money on. Even this review was short as a result since there’s not a whole lot to talk about here. There are plenty of other games that you could buy which would give you far more entertainment. That’s why my recommendation is rather half hearted as you could certainly buy other titles that handle the genre more effectively. After many years, I have finally been able to play the legendary Mario vs DK game. 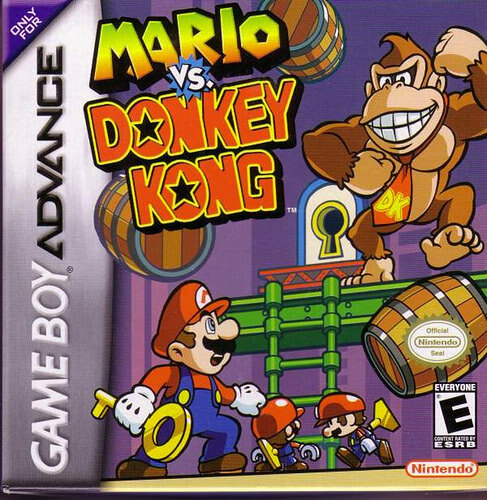 I actually always thought that it was in the same style as the original Donkey Kong and was surprised to see whole levels and puzzles in this one. The final boss is the only level that is just like the old game. It was cool to see such variety though and it’s a pretty fun game. There is also quite a bit of bonus content to be found here as well. I have one issue with how you obtain stars in this game, but beyond that it’s a solid experience. The plot is that DK has decided to steal all of the toys for himself. Mario doesn’t take too kindly to this and calls DK a big monkey as an insult several times. Seeing as how this doesn’t work, Mario decides to beat DK down until the monkey finally gives in. Will DK let go of his toys or will Mario have to hit him with a clean uppercut? Only time will tell. Meanwhile, the Mario toys are fairly advanced and seem to have some rudimentary A.I. going for them. There are 6 main worlds to the game and each one has 8 levels. This makes for a decently long campaign. It should take you a few hours to complete the game in total and add a few depending on how difficult the puzzles can get. There is an extensive amount of replay value to be found as well since beating the game unlocks 6 Plus worlds. After this you unlock the X levels. Once you complete those, then you can face the true final boss and unlock the ultimately true ending. I believe you need to get all of the Stars to make it this far so that should really take a while. The game has an unbelievable amount of bonus content in it so you’ll b getting your moneys worth. Now, I originally thought that to get a star for a level you just had to complete it while holding onto the three bags in the level. It turns out that you actually have to beat the level’s high score to do it which is a little annoying. It’s hard to know how to do such a thing so repetition is your best bet. Just keep playing until you can really ace the level. It’s a little harder than I’d like and I still think grabbing the bags will be enough. It does help raise the difficulty once again though. The graphics are pretty solid for the GBA. It’s certainly a AAA title as the competitors wouldn’t really be able to match this. It’s that golden era in Nintendo where all of the character models are right. There was only one boss level where I couldn’t even see the ladder so I died a few times. It was more of an optical illusion than an issue with the graphics though. As you’d expect from a Mario game, the soundtrack is quite solid. I particularly like the Fire Mountain themes, but the game has a good variety to it. Most of the level themes are quite good and it certainly amplifies the quality of the game. You’re able to play the level over and over again because you have good beats to listen too. It helps that the loading times here are great so you never have to wait for long. Even the story felt like it had more effort to it than you’d expect. Mario talks quite a bit here, certainly more than I expected. He may be a bit meaner than usual as he calls DK a big monkey at times, but this is the plumber who calls you stinky in Mario Party. It’s easy to forget that Mario wasn’t always the very chipper guy that he is today. Even the Mini Marios rub the loss in DK’s face as they laugh at him quite a bit. You end up almost feeling bad for the monkey by the end. He certainly didn’t ask for this. Of course, DK is a robber so he ultimately did bring this upon himself. You gotta just live with the consequences. I only got the first ending, but at least it gives DK a fighting chance as he grabs more toys and runs. Mario’s going to need to hire more security even if it hurts the whole budget cuts angle. The gameplay is sort of like a 2D Mario adventure, but you’re stuck in a limited space. There are two acts to each level. The first act has you hit a bunch of switches and get past obstacles to bring a key over to the door. In the second act you just need to get to the Mini Mario. The gameplay is actually quite spread out and diverse. You have an array of many different jumps to use. I personally liked spamming the dash dance jump as it would give you a lot of height and you could cheese many levels with this. I’m sure that the developers really thought the level designs through but with this many different options it makes sense that you would be able to cheese parts of it. They just can’t expect to cover for every contingency. There are also the Mini Mario levels. There is one of them in every world and they’re a nice change of pace. The little guys get lost rather easily so you have to make sure not to go too fast or you’ll leave them behind. I enjoyed the levels in this format that I played and while the main ones were certainly more fun, it’s always satisfying to lead the little guys to the goal. The Mini Marios have heart. It’s relatively simple gameplay which is likely what makes it so fun. It’s only half brain teaser while the other half of the puzzle is having the ability to physically get through the obstacles. It’s a great blend and a lot of fun to play. The game does a good job of bringing in many different enemies and obstacles so that the levels don’t feel the same. It would have been nice to have seen classic characters like Luigi and Peach, but I suppose even Mario has to work alone sometimes. It’s probably nostalgic for him to be the lone hero like in the original Donkey Kong game. Overall, I’d definitely recommend this title. It’s easy to see why it became so popular. The game’s just a lot of fun and it even has some cutscenes. It’s pretty impressive since the game is so old. The graphics and soundtrack are both on point as well as the level designs. There is a lot of replay value here and my only complaint is that getting the stars in the levels to unlock the final bonus ones is maybe a little too tedious. I’d like to have a clear metric so I know exactly what I have to do in order to clear the level. That seems a little more fair if you ask me. Maybe they’ll implement that in the sequel. I’ll certainly buy that one although it could be a little while until I do. In the mean time, buy this one and let me know what you thought of it.